A note has been pinned to the command board, and every monday on the calendar has been reserved. From this day forth, every Monday night shall be the stage for the Brave Meet. It is a gathering of Braves of all ranks, where the goings-on of the past week are discussed, and the plans for the following week, or weeks, are revealed. If there is to be a Trial of Bravery, it is to be held on a monday, after the meeting. 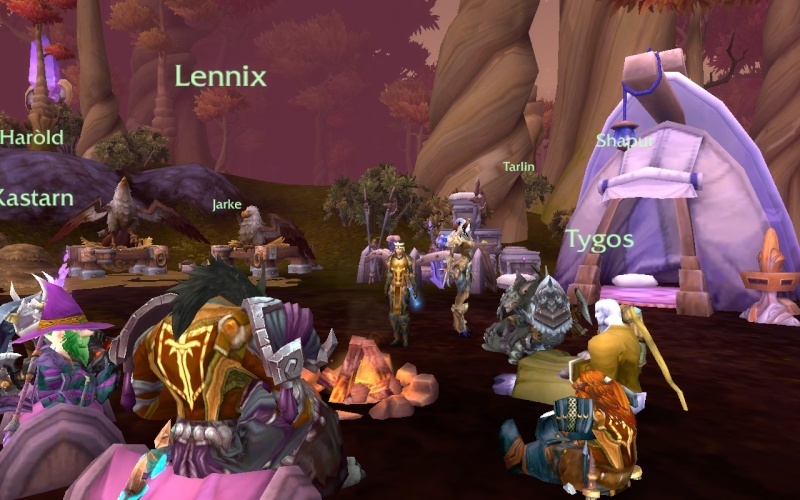 The Meeting of Braves was due to happen in Lakeshire, at 20:30. The evening was shook, however, when Arch-Mages Arenfel and Eldiros (both not affiliated with the Band) had a conflict that escalated into a duel. The Braves went to watch this rare occurrence, this clash of might, to root for their favorite: Arenfel. In the end, Arenfel yielded, and Eldiros was the victor. The meeting was finally held at 23:00 in the dusty basement of the Pig & Whistle. The introduction of new titles for Bravehearts to earn was discussed, and an official protocol for Greenhorns to earn their keep in the Band of the Brave was established. Quickly there-after, Glorious Leader Theadore Wellsworth added two new publications to the Visitor's Center, for all curious eyes to behold. The Brave's Handbook: Guild Rules. Rinoi and Lennix where promoted to Lionheart. On the agenda for next week, common updates, reports and possible promotions aside, the Band will discuss when and where the next Battle of the Braves will be held, so a new Champion may arize. 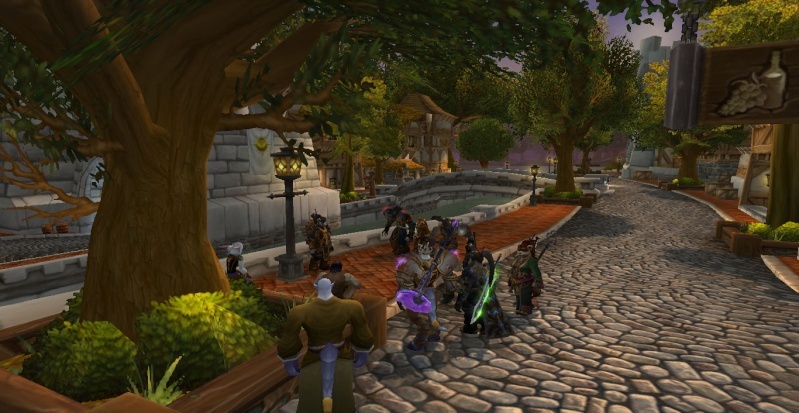 The meeting took place in Lakeshire, at the Wizard's Welcome. Tales where shared of the Braves' many adventures the week before. A band of gnolls was pacified in Westfall, an familiar foe showed her face, Greenhorn Xinnel was branded a Villain, bandits where pacified in Elwyn Forest, A cult of warlocks was prevented from summoning a demon lord in the Blasted Lands, and some braces accompanied a greenhorn to Terrokar Forest to gather special wood for a staff. Secondly, a date was set for the next Battle of the Braves to take place. It was decided to be held on Wednesday, the 4th of June. The Glorious Leader drew everyone's attention to the renewed Guild Bank, with additional storage space now available to deposit and withdraw precious materials and high quality gear, enchantments and potions. Finally, the attending where asked if there was a Greenhorn they would stand for. Shapur was elected to join the rank of Braveheart. 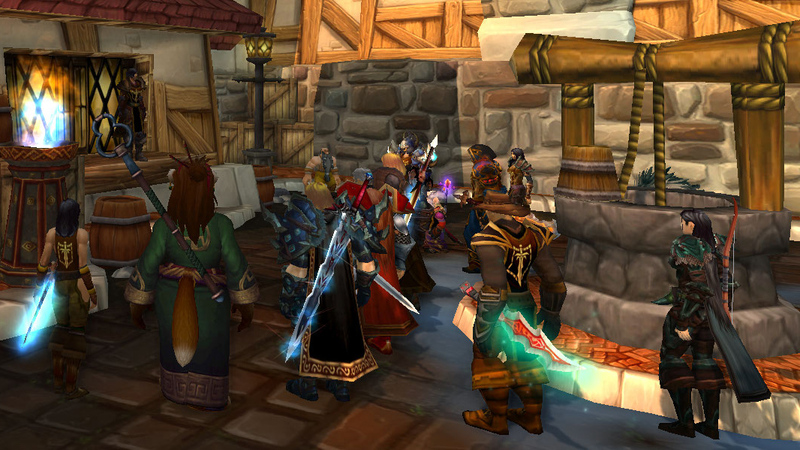 Due to the Stormwind Market Day, the 4th official meeting of the Braves will take place on Sunday the 1st of June, ten 'o clock. 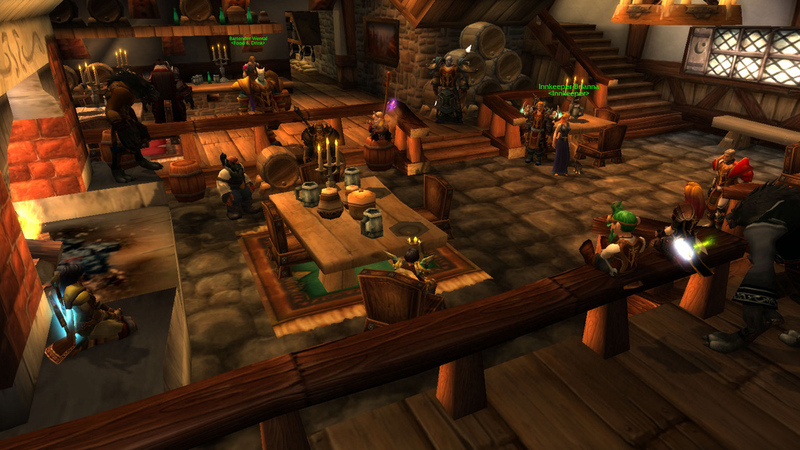 This week we will gather in the Goldshire inn. Blessed be those who gather in the Light. 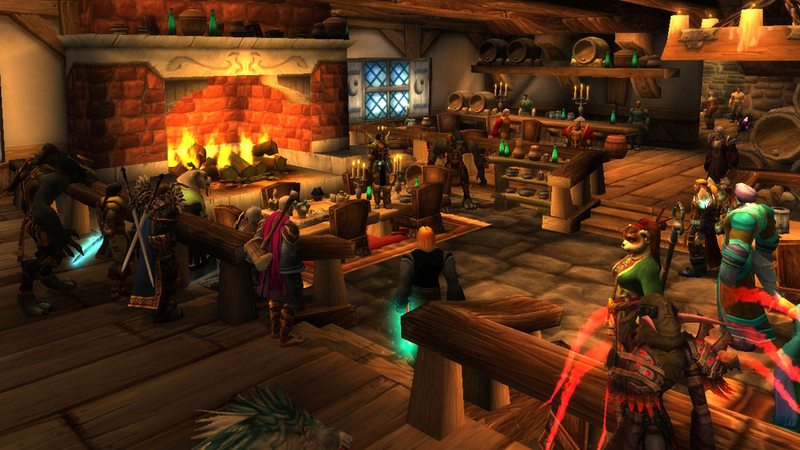 The meeting took place in Goldshire, at the Lion's Pride Inn. Tales where heard of the Brave's adventures. The villain Xinnel was encountered, and almost subdued. The mishaps of Greenhorn warlock Jinxie where heard. She used demonic magic to produce a fireworks display for leisure, and was accused of setting a demonic imp loose in a bar. As she was not in attendance, the consequences of her actions are yet undecided. Archmage Eldiros, of the Ordo Arcana, asked if he would be allowed to join the Band of the Brave on their adventures. Through majority vote, the notorious wizard was invited to participate in upcoming adventures. Terrance Howards was elected to join the rank of Braveheart. 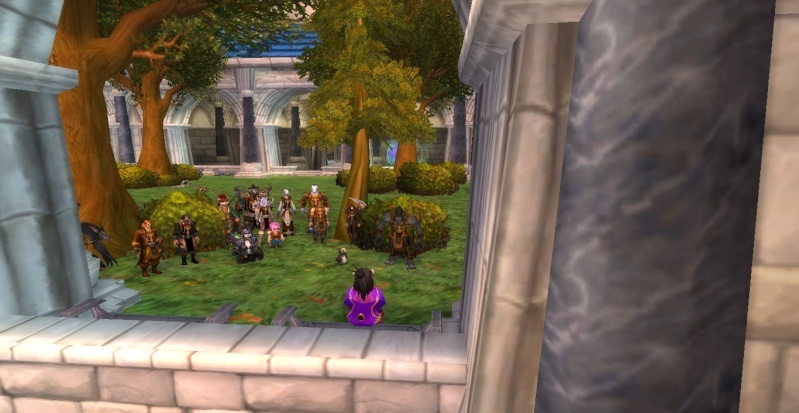 The meeting took place in the Public Gardens of the Stormwind Keep. Tales where heard of the Plaguelands. The Band of the Brave was approached by the Alliance Intelligence Agency to help the Argent Down in subduing a new strand of plague that had been ravaging the land (even more...?). The Band spent the Wednesday and Thursday helping the agency, and on the Friday helped a Dwarven Warlock retrieve a skull from a Troll Temple. Down south, a second party made their way to the searing gorge to confront old enemies, simply known as "The Dark Ranger and the Lich". Eldiros accompanied them. There was a battle, one of their minions was killed, but the Ranger and the Lich got away to taunt the Band another day. Wellsworth directed everyone's attention to the Pig & Whistle Bar, and reminded the Braves to tend it actively whenever they find themselves without something to do. A busy bar is a full wallet! Important: The Band of the Brave is heading north to hunt a dragon, a quest found by Thuros. The second Battle of the Braves will be held on Wednesday the 11th of June, somewhere in Dun Morogh. The Band will try to confront the dragon menace the day after. The Death Knight Cedrick was asked to join the Bravehearts. Caeleb and Thuros where vouched for, but where not considered ready to join the ranks. 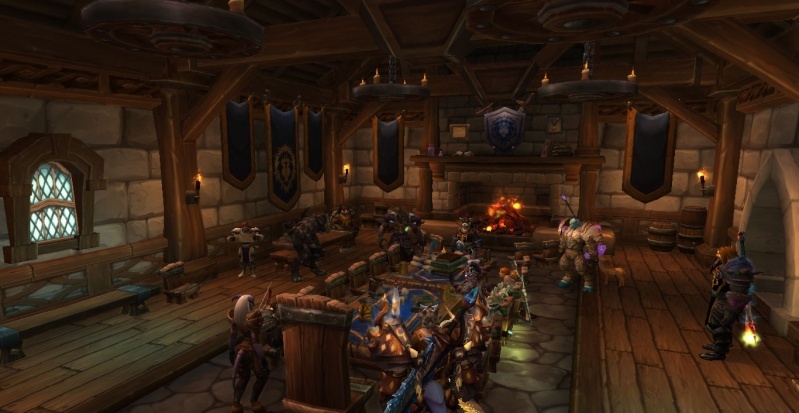 The meeting took place on the terrace of the Blue Recluse, in Stormwind. Tales where told of the second official Battle of the Braves. Thuros Lionmane was defeated in the first round, only to return in the third on a wildcard and take the win, defeating Kysah in a thrilling battle. Thuros earned himself the title Champion of the Braves! A dragon that had been terrorizing Loch Modan was brought down, with an army of Braves and a big balista. It's head now lies rotting in the basement of the Pig & Whistle, waiting to be made into a trophy. It was announced that the Battle of the Braves will be a monthly competition. Heytham (Trevor) and Caeleb where both invited to join the ranks of Bravehearts. 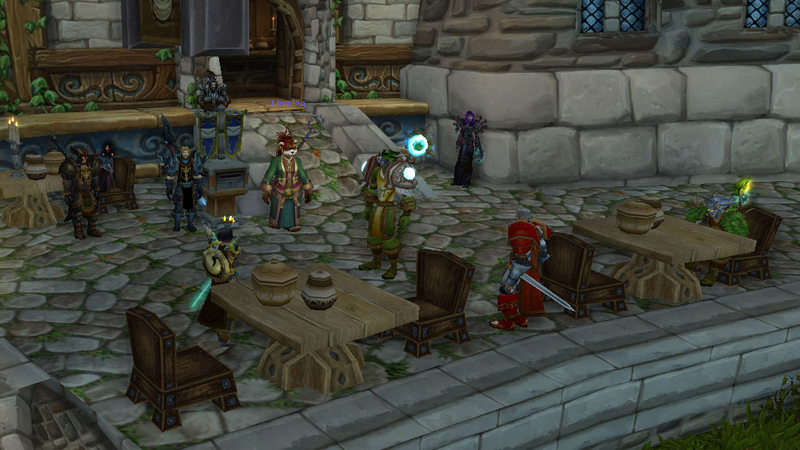 The meeting took place in the alleyways of Old Town, Stormwind. Time for a celebration! Today the Band of the Brave celebrated it's founding six months ago. Wellsworth held a speech that was too long and didn't go anywhere, but the people rejoiced anyway. Last weeks expedition to Duskwood was glossed over. The pay was good, but it was hard earned. Wellsworth still bares the scars of the encounter with the cursed wolves. The Battle of the Brave pets (29/06): -Thuros has taken it upon himself to host a tournament where the brave's favorite pets can duke it out in honest competition. The Key - Part two (24/06): - The battle to overcome the villain "Monologue" continues. Charlie will take the Band of the Brave to Kalimdor in search of the second piece of a key. That opens something. Supposedly. Hero's Call: Southern Kalimdor: Wellsworth announced her plans to set up a big expedition to the southern deserts of Kalimdor. It's still a while off, but there's a lot to prepare. Brave Brews: Wellsworth announced her intentions of creating a Brave Brew to sell at the Pig & Whistle, home-brewn with home-grown ingredients. The search is on for a brewmaster that can create a recepie for them! Mina Wellsworth (Kuzami) and Thuros Lionmane (Thuros) where both invited to join the ranks of Braveheart! 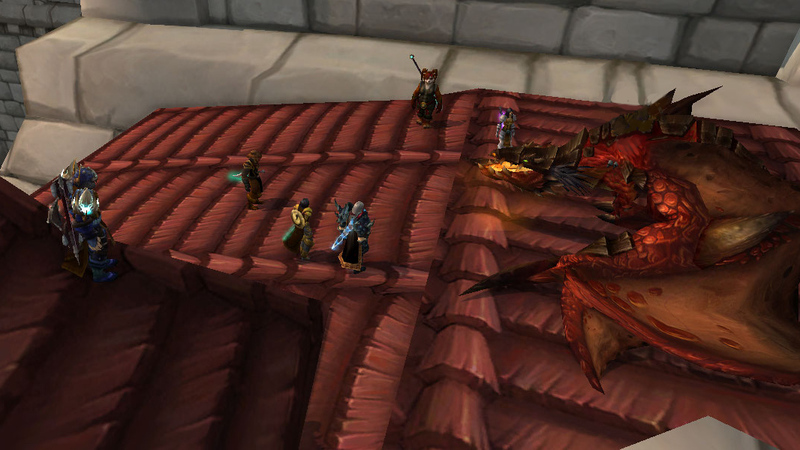 The meeting took place on the latest addition to the Brave Empire: The Dragon Roost on the roof of the Pig & Whistle. 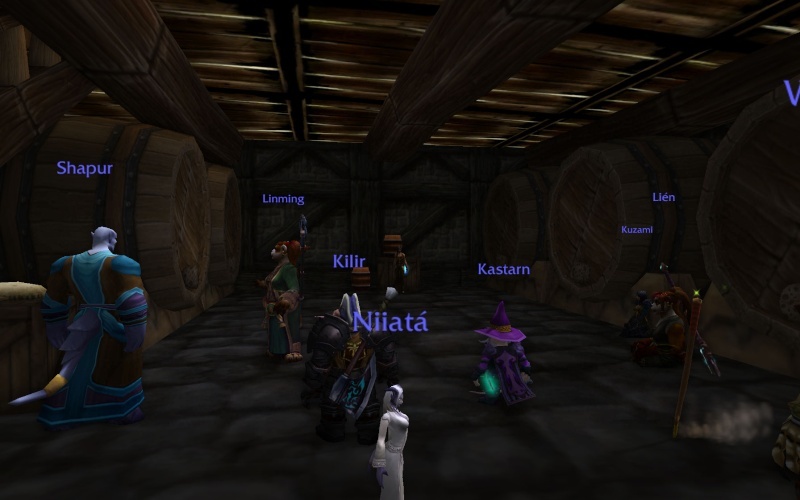 Everyone got to meet Scarlet, the proto-drake that lives there now, and it's owner Lien. It is important to note that the Stormwind Regiment will only allow the beast to live there as long as it is muzzled, controlled, and not a threat to the population. No deals have been struck with the Blazing Shields or the Disciples of Light. The beast is Lien's responsibility. If it causes any trouble or harm, Lien and only Lien will be to blame. 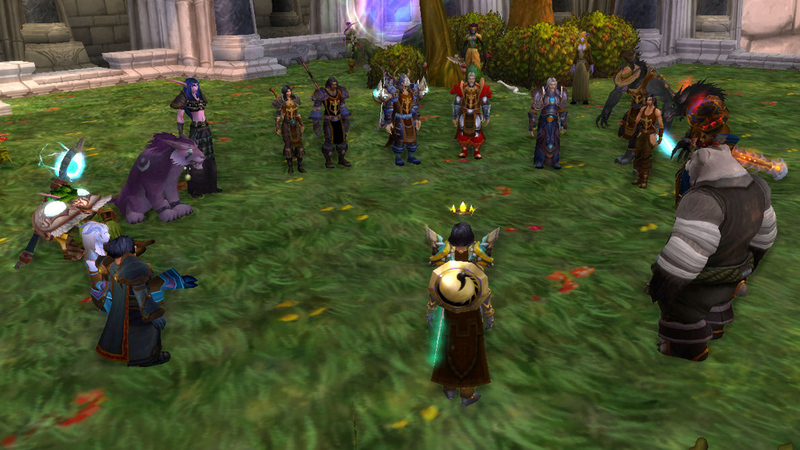 After the meeting, the Braves rushed off to Tol Barad to face Monologue, the evil one. He eluded capture and defeat once again, and the Braves returned with many casualties. No new Bravehearts where appointed during this meeting. Additional note: Both Wellsworth sisters where badly injured, and once arrived in Stormwind where healed by medics of the Blazing Shields. Dante the Death Knight then brought the Wellsworth sisters home to rest and recover. The meeting took place in the cellar of the Pig and Whistle. Due to the absence of the Glorious Leader Charlie, the meeting was opened and noted by Lionheart Rinoi . Last week saw an excursion to Felwood by Lennix to find some sort of special mushrooms. The mushrooms were recovered and the elven client was satisfied. There was some trouble with summoning extra imps to the region that may require a later 'cleaning up'. For the coming week, there is a trip to Pandaria planned. Besides being able to revisit this beautiful continent, we'll have to help with some sort of Yaungol problem. As well as attending the wedding of the leader of the Blooming Lotus; Ju-Sin on Friday. Shapur has offered to be a counsillor and spiritual guide to all Braves that feel they want to get something off their chest. Such things are of course in complete confidence! Keep your mind and thoughts sound and friendly and speak of your frustrations to Shapur. We will be bringing back the weekly Brave meet, starting this Monday and every Monday after that. Braves of all ranks are welcome to come, we will be discussing the goings-on of the past week and weeks to come. I'd appreciate if people shown up, as it's our first meeting in a long while. We will also be discussing the future Battle of the Braves, we're in need of a new Champion! The meeting took place in the alley, behind the Pig and Whistle. Last weeks job to the Azuremyst and Bloodmyst Isles, it was brought to the Braves by Lennix. The Braves ventured to this Draenei land to rid of mutated Giblins which had kidnapped a young girl. Though the girl was saved and the Giblin threat removed, the Braves suffered injuries from the fight which took place before hand, with three Sin'dorei. The Braves were paid well and went home with smiles all around. Next week a trip to Uldum has been announced, the Braves will be setting off on either Wednesday the 10th or Thursday the 11th of July. 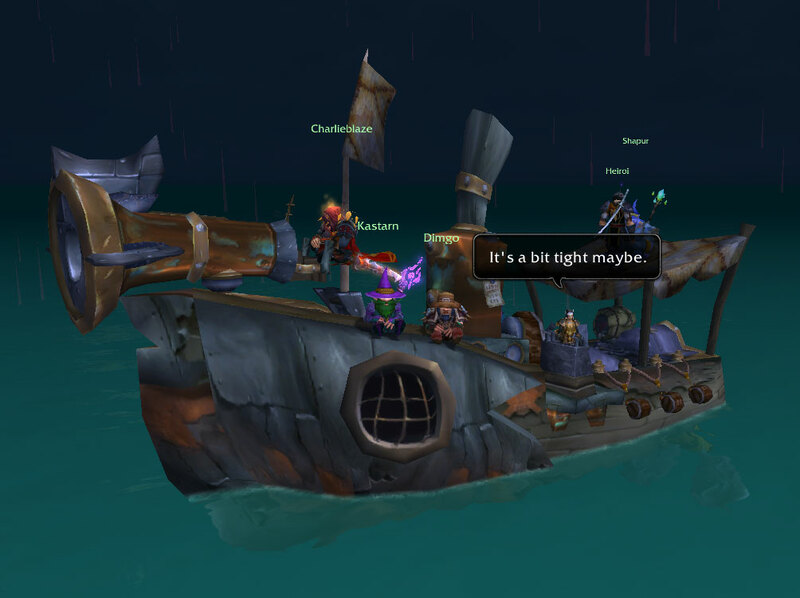 The Braves are expecting to stay in Uldum for up to four day, even a week. The Battle of the Braves has returned, and the date is set for Thursday 25th of September. Get your gear polished! Strisha and Harold were promoted to Bravehearts. Along with Adelane, with the promise that she will behave herself. Lennix was promoted to Dragonheart and is now second in command along side Rinoi. The meeting took place in the alley, behind the Pig and Whistle... Again. Not much has happened the past week, new members have joined the Band. Syrel Sanvralo and Daryon Morgan, cousin to Adelane Morgan, were both welcomes during the Meeting. Adelane announced that she -might- be getting engaged, or maybe not? The coming trip to Uldum was discussed again, along with the dangerous activies they'll be doing. People are sure excited to see this "Death Machine". A possible party may be planned for next month's world event. Hallow's End.. Spooky! No new Bravehearts were appointed. Though Caelyb has vouched for Naya for the next meeting. The meeting took place in the Stormwind Garden, at the Keep. The Braves had plenty to discuss. Yuan'Do Oxheart, the leader, took charge of the meeting. Everyone was informed of the recent Uldum adventures, and many treasures were found. All to be sold at Kayle's Market event, this Thursday. All Braves are to be paid by the next meeting. Lastly, the Braves have stirred something up with the Twilight Cultists.. Maybe a future trip is to be planned? Who knows, but danger certainly lies ahead! Naya, Liam, James, Xaph and Tom have all officially been named Bravehearts! 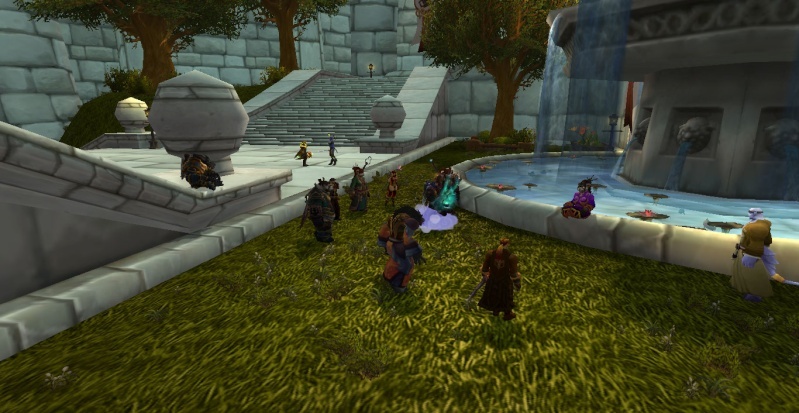 The meeting took place outside the Stormwind Keep, beside the fountain. The Braves had plenty to discuss. Battle of the Braves is to take place in three days, at 20:30. Braves are just itching to win the Champion title, and a few prizes! Yuan'Do announced terrible news, straight from the Blooming Lotus. Garrosh Hellscream has escaped his trial and now missing, Yuan'Do has given the option for an attempted hunt of this former Warchief. Options are to be discussed with the Minister of Defence. Last weeks trip to Duskwood was a success, as announced from Lennix. Though serious things are still unexplained. Mizia's proposal of a "Pet Battle of the Braves" is well under way. It's due to start next Thursday, on the 2nd of October. Get those pets trained up for the Ultimate Prize! Lien-Lo has asked for her Drake, Scarlet, to become a companion for future adventures. With permission from Yuan, Rin and Lennix, of course. And finally.. Tom admitted to a grim crime.. During the Duskwood job, as teenage girl was found. Scared and delusional, Tom put this girl down as the other Braves had left the house. Yuan'Do asked him to remain behind after the meeting. Punishment is unknown! No new Bravehearts were appointed during this meeting! Yuan'Do was not present, so Lennix lead the Brave meeting. The meeting took place in "Kaldorei Embassy", or a -random- garden..! Arenfel spoke of a time-space phenomenon, and the Braves are to investigate these strange goings-on, this Friday night. It's said to be a dangerous trip, Braves must be prepared. For all who were not at the recent Battle of the Braves, Adelane won the Champion rank and her wonderful prize.. Until another takes it from her, this October. The mention of Garrosh came across the Braves again, Yuan'Do is speaking with leaders to hunt for this murderer! Pet Battle of the Braves takes place this Thursday night. Run by Mizia Munchcog. Vaell will be away for a few days. No new Bravehearts during this meeting. The meeting took place beside a lamppost, in the Dwarven District! Battle of the Braves has returned, and lead by Lennix once again. It's due to take place on the 30th of October, Thursday. The Braves ventured to the Caverns of Time for an important job, lead by Arenfel, Friday past. What mysteries were found?! 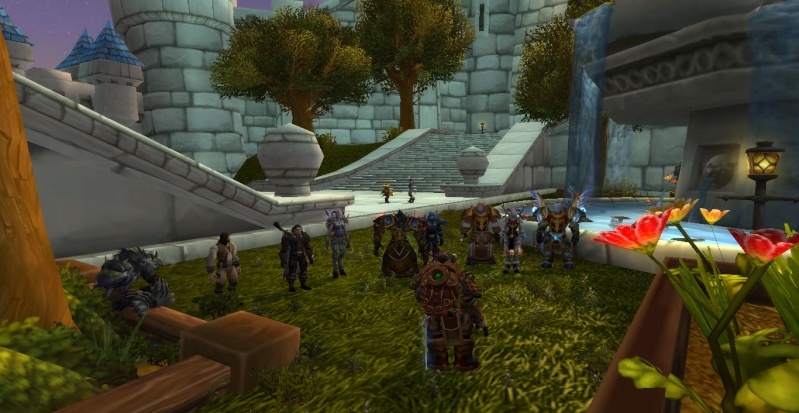 Spoon gathered the leaders of the Alliance for a meeting regarding the former Warchieft, Garrosh, who is still missing! The Horde have already gathered to search for him. Yuan'Do Bismack and Inran are the chosing commanders for the future campaign. Alekszander and Zuiquan were named Bravehearts! The meeting took place outside the Shady Lady. Yuan'Do started off with a few comments about Theadore's work, founding the Braves almost a year ago. She then spoke of the poor behaviour from individuals within the Braves, and that she will be more stricter in the future. Giving out less chances, and more punishments. New rules may be set in place! The Pig has been the home for the Braves for a while now, but it's time for a new place. Yuan'Do has decided to attempt a purchase of the "Shady Lady" and rebuild it, since the news of the Companies death was spread through the City. Second Swords is also attempting to purchase, let's hope the Braves win. Tomorrow night, after the Council meeting.. The Braves set sail along with the Crimson Rose towards the Swamp of Sorrows. 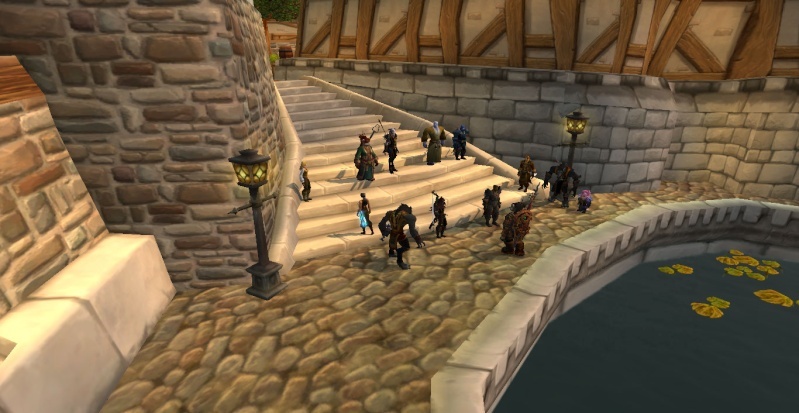 News has reached Stormwind of Horde troops closing in on Alliance borders. An investigation is set in place for these two brave orders. Camping overnight may be needed, so pack! Tryndall and Haatim were both promoted to the rank of Braveheart during this meeting. Congratulations! 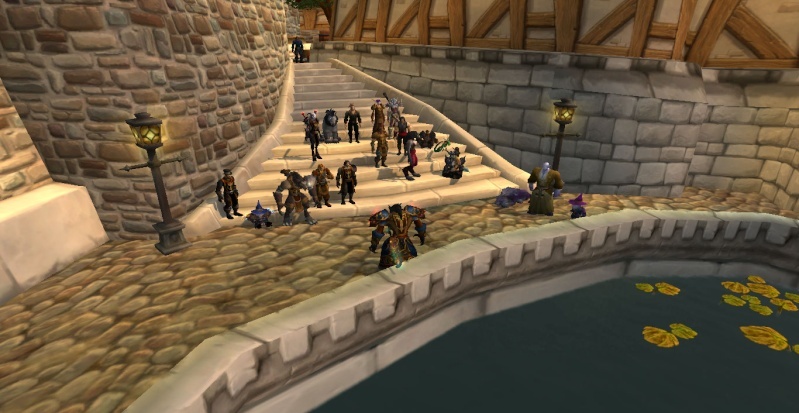 The meeting took place outside Stormwind Keep, beside the Kings fountain. Yuan'Do lead the meeting today. The invading Orcs were mentioned, still pouring from the now-red Dark Portal, Blasted Lands is in ruin and Nethergarde is lost. Combined forces of the Braves, Regiment and Wild Tempest work together to fight this threat. Within two weeks an assault will take place upon the Dark Portal in an attempt to reclaim and enter it. Yuan'Do and other fighters have volunteered to enter the portal, knowing that they may never return. Braves have offered to follow Yuan through the portal, in hopes of saving Azeroth. Naya, James and Shapur have been promoted to Lionheart and joined Tarlin and Lennix as Leaders/Officers within the Braves. Lennix took the lead for this meeting. Yuan has Field Marshall duties! The meeting took place on one of the ships, outside Blasted Lands. Mei'Lin, a Pandaren, joined the Braves and hopes to help with the effort against the Iron horde. Shapur spoke of soldiers becoming unstable and insane from the battles of war, as if corrupted. He offers to help all who become fragile in the mind, with the powers of the Light. Rosalila and Thormarin were both named Bravehearts during this meeting. 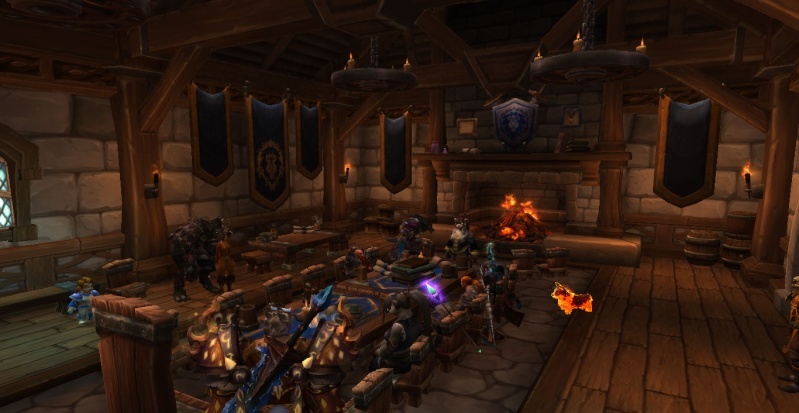 The meeting took place in the new Guild Garrison - Town hall! To start off, the Braves ventured through the portal, and scattered. Terrance managed to gather what Braves he could before Yuan'Do was found. Yuan lead the Braves to the new Garrison. The High King and Khadgar gave resources in help to build our Fortress. A name for the Garrison was chosen by Yuan, due to idiotic names picked from certain Brave members. "Fort Wellsworth" is the new name. The Braves will remain in Draenor and battle the Iron Horde, defending the Draenei and to stop them re-entering Azeroth. Wild Tempest have taken camp towards the north of Draenor, though the location is now know. Regiment and Natures Grasp are within Shadowmoon with the Braves. Arenfel gave out teleportation scrolls to everyone incase we're in trouble. They teleport a person to the Garrison, though only one! Yuan plans to gather other forces and stop the Iron Horde before they attack Karabor, a Draenic city. Many Braves were very RUDE during this meeting, and Derek Howards was kicked out of the Garrison. No members were promoted during this meeting. The meeting took place within Fort Wellsworth, lead by Yuan'Do! Yuan'Do started off with the mention of new guards within the Garrison, Shado-Pan and Golden Lotus volunteers. 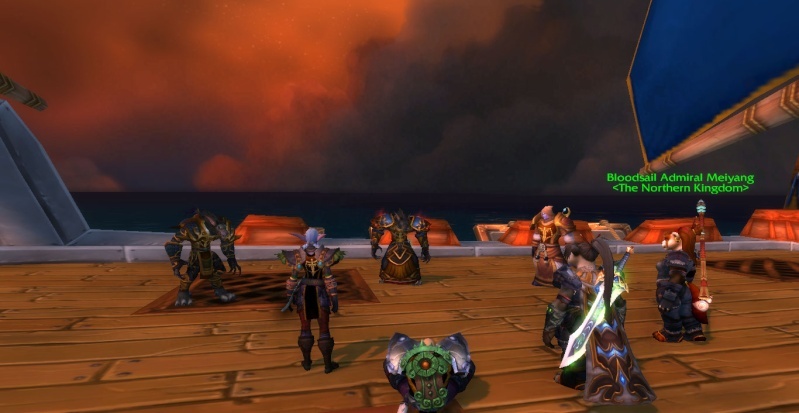 The original forces have moved to the islands of Ashran due to a battle breaking out. The Fortress has almost finished construction, meaning Brave operations will begin within a week, all around Shadowmoon Valley. The Braves rescued a former Dragonheart, Rinoi Du'nai, from that dangerous grips of the Botani. Many Braves were injured, but all survived. Rin has joined back into the Band, what destiny awaits this hero?! The Iron Horde have been spotted heading East, towards Karabor. Campaigning to stop the Iron Horde will begin in a fortnight. All the Braves mingle and suggest various ideas on when and how to attack. Madam Oxheart will plan to build a bunker due to majority vote. The Mage Tower will be destroyed, poor Magi! The meeting was held outside the gates of Fort Wellsworth. The last recorded official meeting was almost a month ago, and a lot happened in that time. Rinoi opened with a short recap. Chief Rinoi Du’nai has taken over from Madam Yuan’do Oxheart as leader of the Braves. Yuan’do was called back to Pandaria to tend to the funeral of her sister, and to take over the training of her student cubs. Dragonheart Lennix also returned to Azeroth, after hearing troubling news about his family. Rinoi announced the departure from Fort Wellsworth. A competent and proven Alliance commander will take over. His or her name escaped memory, but the garrison will be admirably led, no doubt! Due to some tensions caused by rumors of ‘missing’ garrison supplies, the Band has been temporarily banished from the Garrison while the new commander and troops settle in. The rank of Lionheart is abolished. All Bravehearts are equals. Except Chief Rinoi who is more equal than everyone. 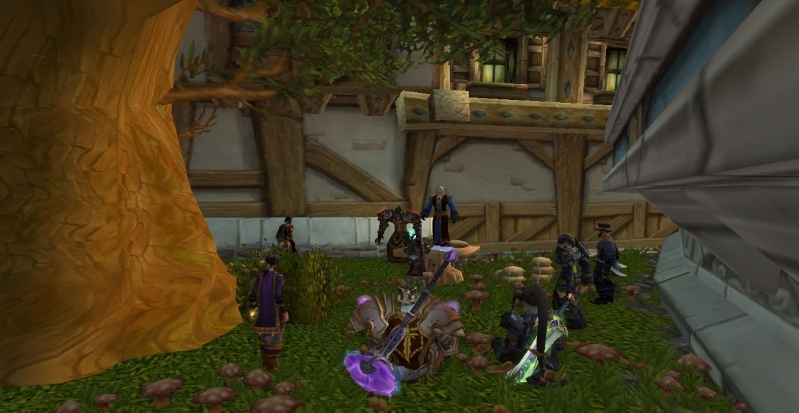 Only those that can handle themselves in the harsh world of Draenor can be part of the Band. They do not have to be combatants, but we cannot defend those unsuited for the savage climate of this alien world. Despite our banishment from the fortress at this time, Shapur required help retrieving his pet Mandragora assistant ‘Bert’. The Band helped, using their unique brand of talents. Only a few people will have nightmares forever. Founding member Charlie Blazesong returned to the Band this week, and with him, three others joined as well, two former Braves; Emberli and Kysah and the hatted gnome; Dimgo. The boat was given to the Band earlier this week when goblins at Pinchwhistle Gearworks sought help with restoring a gnomish machine. The machine, a gas-to-candy converter, was fixed with resources gathered from local wildlife. The boat's name 'Independence' was chosen after suggestions and voting at the end of the meeting. Possible future expeditions were also suggested. Harold gave news that his former employer seeks aid in attacking an Iron Juggernaut, the battleships from the Iron Armada. A gargantuan task… Alekzander spoke of a draenei story of a hidden cove, somewhere along the coasts of Draenor- rumored to be full of treasure. And last but not least, Lennix reminded everyone of the Battle of the Braves at the end of the month, on the 29th. No new Braves were voted into the Band. 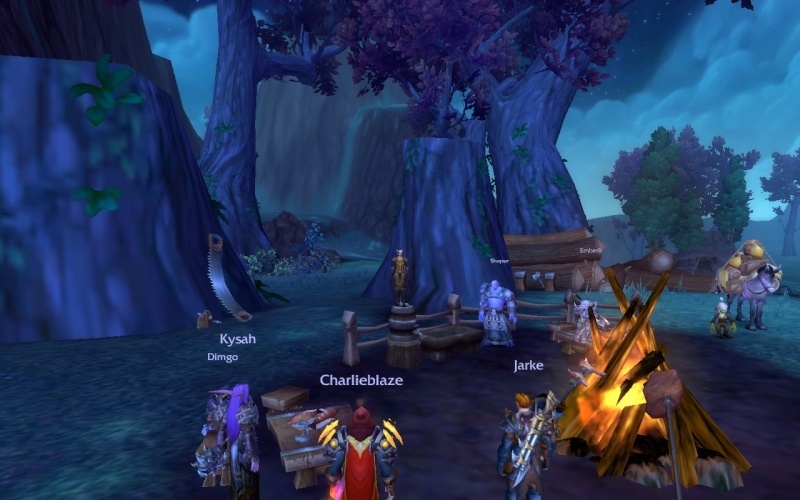 Rinoi held the meeting on a camping site in Talador. The meeting was opened with sad news. News had arrived that Howards who was scouting out the potential paths the Brave group could take was taken captive, or possibly killed when his team of scouts was overwhelmed. Howards fought off the attackers as best he could, giving others a chance to escape. Not only Howards was for now separated from the Braves; Arenfel and Jack Jacobs have both travelled back to Azeroth to train up on the ways of the pandaren monk. Earlier this week, Alekzander led the Band to pursue rumors of a treasure along the coast. To gain more intel from a shady arrakoa, the Band retrieved the heart of a dread raven for him. Summoned arcane cats were involved, and things got messy- but it did give the Band a lead to go on! In Spires of Arak, the Band returned to Pinchwhistle Gearworks after they left behind Harold’s pet fire elemental: Giggles. After a misunderstanding with the goblins, involving faking our deaths, an encounter with a dwarf poacher and a gryphon, arrakoa assassins, and Alekszander being possessed- Giggles was recovered! The turning of Alekszander did cause some strife in the Band though… Harold sought distance from the main group to rethink his trust in the Band’s members, although he fortunately showed up for this meeting. For the coming week, Rinoi intends to trek into Gorgrond in pursuit of a job they had received a while ago- and possibly to find a sign of Howards. Tygos was voted in as a Braveheart. OOC: Lennix and Tygos were promoted to Lionheart.